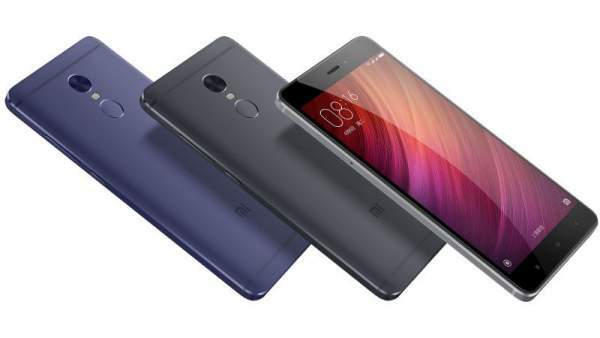 The official Xiaomi Redmi Note 4 price, specifications, features, flash sale date on Flipkart are available now with the launch event successfully held today, January 19 in New Delhi. The video is available below. Redmi Note 4 by Xiaomi has become the first major launch in 2017. In India, the official details are now available, and they are as follows. It is available in three color options – Grey, Black, and Gold. As per the expectations, Xiaomi Redmi Note 4 houses a Snapdragon processor and it’s the Qualcomm Snapdragon 625 SoC with Adreno 506 GPU. Xiaomi’s Vice President Hugo Barra launched the smartphone. Like its Chinese brother, the India version also has a metal body with 8.45mm thickness but better antenna functionality. The USB port, fingerprint scanner on the back panel below the primary camera, and 2.5D are the common features on both the versions of RN4. Xiaomi has claimed that Xiaomi Redmi Note 4 will last at least 25 percent longer than its predecessor Redmi Note 3. Moreover, the company flaunted that it will last 70% longer than the biggest releases of 2016 [Apple iPhone 7 Plus and Google Pixel XL]. Regarding the camera, Redmi Note 4 has been made available with a 13-megapixel camera on the rear side with phase detection autofocus (PDAF), f/2.0 aperture, and dual tone LED flash. On the front side, it has a 5MP shooter for the selfies with 85-degree wide angle lens. Xiaomi Note 4 comes with a 5.5 inch full HD, fully laminated display with the reading mode. It has a 2.5D curved glass display with a pixel density of 401ppi. Like Note 3, RN4 also has a fingerprint scanner below the rear camera which doubles up as a selfie shooter. Like the new launches, the all-new Xiaomi Redmi Note 4 smartphone gives dual-SIM support but with a hybrid SIM card slot. It means either you can use two SIM cards at the same time or one SIM and a microSD memory card. It runs on Android 6.0 Marshmallow with MIUI 8 on the top. Xiaomi VP Hugo Barra said that the phone is also made in India. It will be available in three variants based on its internal memory and RAM. Below is the list of all three options with their respective prices. However, all of the three variants of Xiaomi Redmi Note 4 are expandable up to 128GB via microSD card support. 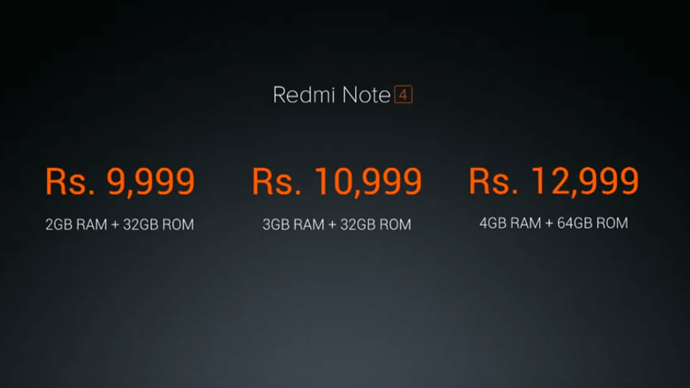 Regarding the availability and sale on Flipkart, Hugo Barra said that Redmi Note 4 would be available starting from January 23. It will go on sale exclusively on Flipkart. As of now, interested buyers don’t need to do registrations prior the sale day. There are other standard connectivity features like GPRS/EDGE, 3G, 4G VoLTE, Bluetooth, GPS, micro USB, infrared, and Glonass. Xiaomi Redmi Note 4 has 4100 mAh battery, and the smartphone weighs only 175 grams.